I saw this today regarding Ray McCallum Sr., the head coach at the University of Detroit Mercy and architect of that program’s resurgence. Could he be a legitimate candidate to take over at Depaul? It’s in a major conference in a major midwestern city. There isn’t another coach on this list who I’ve studied more than McCallum (left). 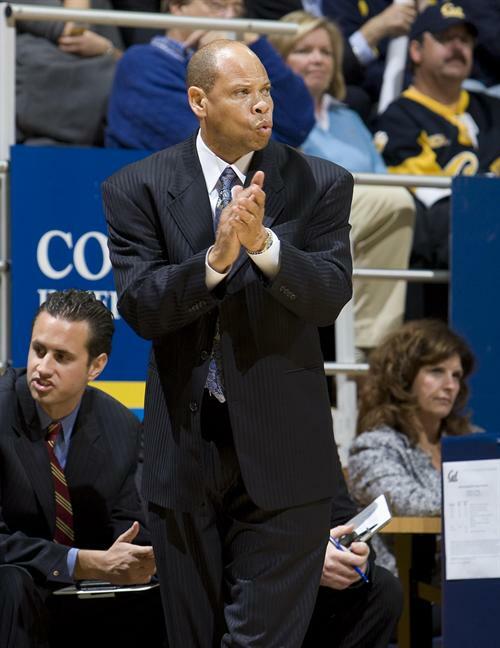 He has a long track record of success at the mid-major level. He went 126-76 at Ball State, including 2 NCAA appearances and an NIT bid, and is rebuilding Detroit in a hurry in the Horizon League. The one questionable part of his resume is 4 years at Houston where he went a combined 44-73. That’s certainly a blemish. McCallum has been an assistant coach all over the Midwest so I’m sure he knows the area. The big carrot with McCallum though is another Ray McCallum, his son. 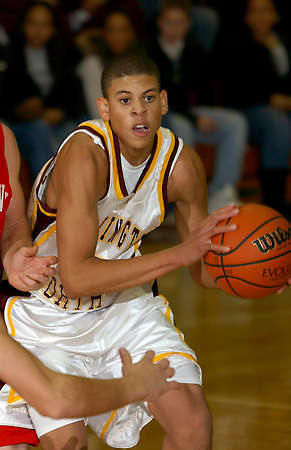 Ray McCallum Jr. is ranked in the Top 10 point guards in the class of 2010. He’s considering Florida, Arizona, UCLA and Detroit. My guess is DePaul would shoot to the top of that list if his father got a major conference job. McCallum is certainly worth taking a shot on. LANSING, Michigan — It was 90 seconds that basketball fans in Lansing will never forget. The duel between arguably the top two players in the state on Saturday was framed by five possessions in the third quarter of what had been a blowout in favor of Detroit Country Day. With no. 1-ranked Detroit Pershing clawing its way back from a 20-point deficit early in the third quarter led by MSU-bound senior Keith Appling, it was put up or shut up time for DCD’s Ray McCallum. I wrote last week after the holiday tournament at Saginaw Arthur Hill that 5-6 senior guard Maurice Jones is the best basketball player in Michigan. It was a bit of a departure for me, since I’d been singing the praises of Detroit Country Day’s Ray McCallum, who I still believe is the most college-ready player in Michigan. On Friday, Maurice Jones had a chance to make his case that he, not McCallum, Trey Zeigler (Mt. Pleasant) or Keith Appling (Detroit Pershing), is the best player in the state. The Lumberjacks lost by eight to Appling’s Doughboys, but Pookie put on a show with 49 points and 11 assists. Appling’s not exactly chopped liver, of course. He had 38 points, 11 shy of his 49-point effort at the Breslin Center in March against K-Zoo Central. 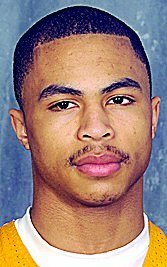 Even so, Jones will be Mr. Basketball in 2010. No one will be able to forget the kid who couldn’t weigh more than 130 pounds looking like Brandon Jennings against Golden State. No one can touch him in transition; no one can guard him in the halfcourt and, without doubt, no one is more important to his team.